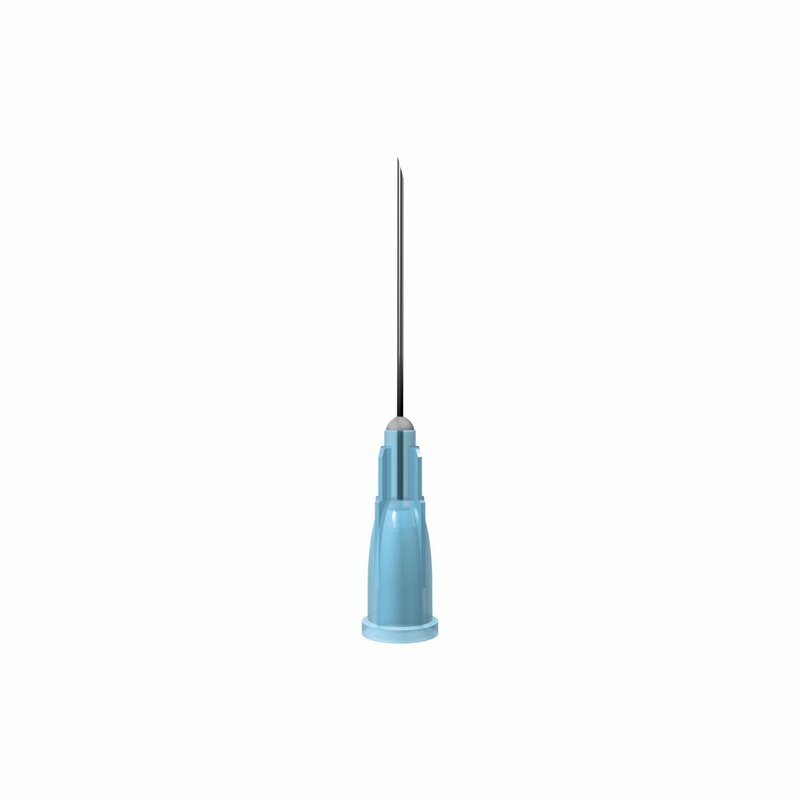 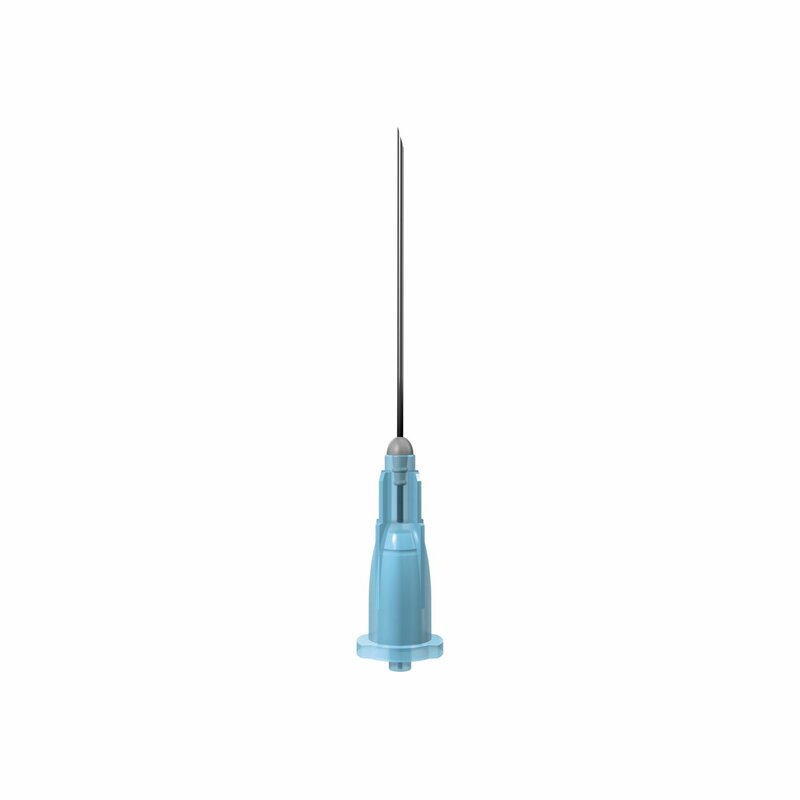 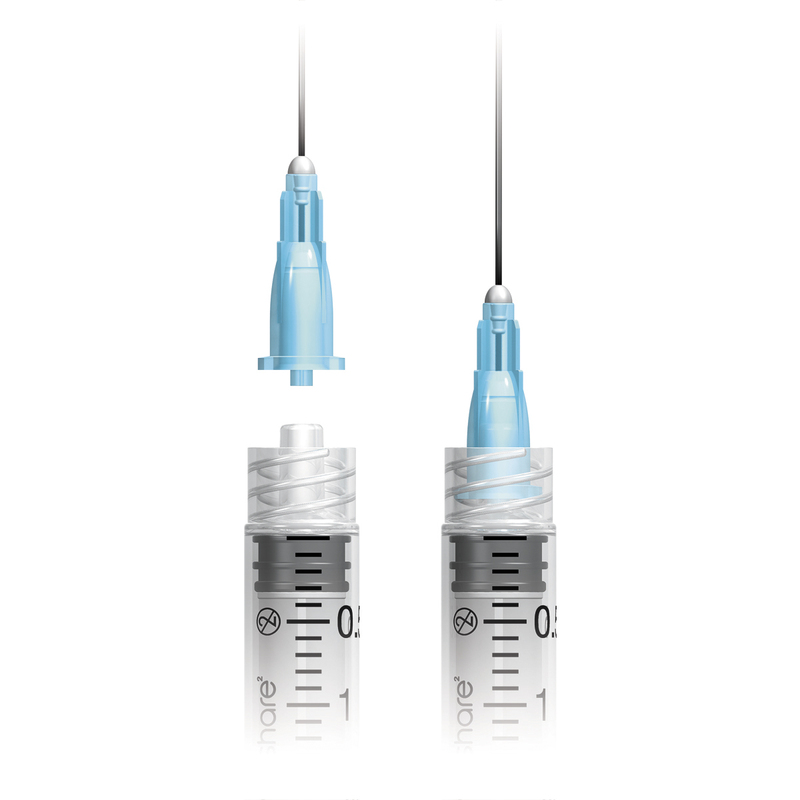 A low dead space 25mm (1 inch) 23g / blue hypodermic needle, developed to help reduce the spread of HIV and other blood borne viruses. 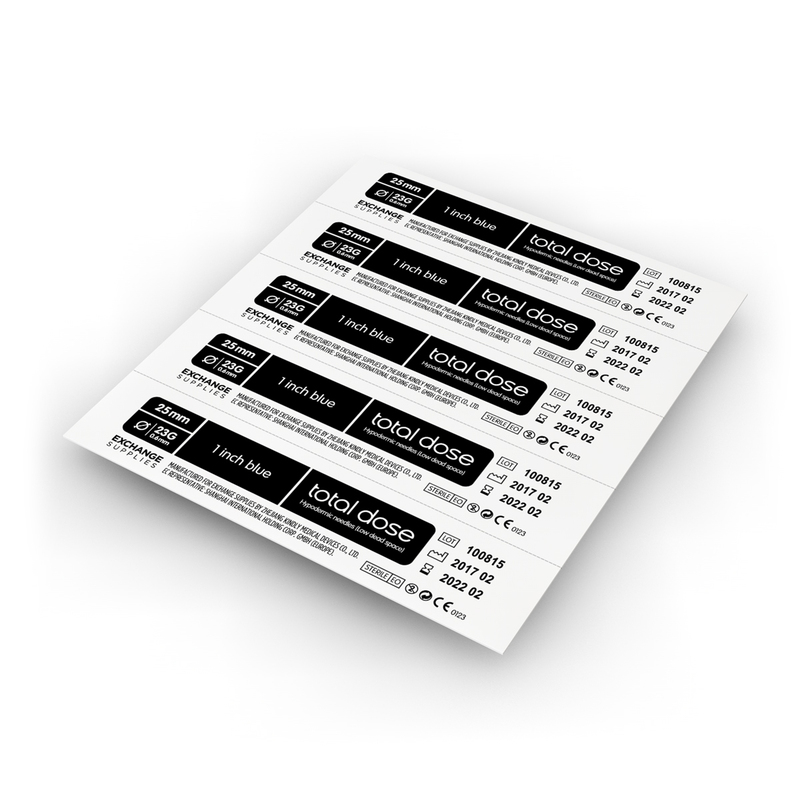 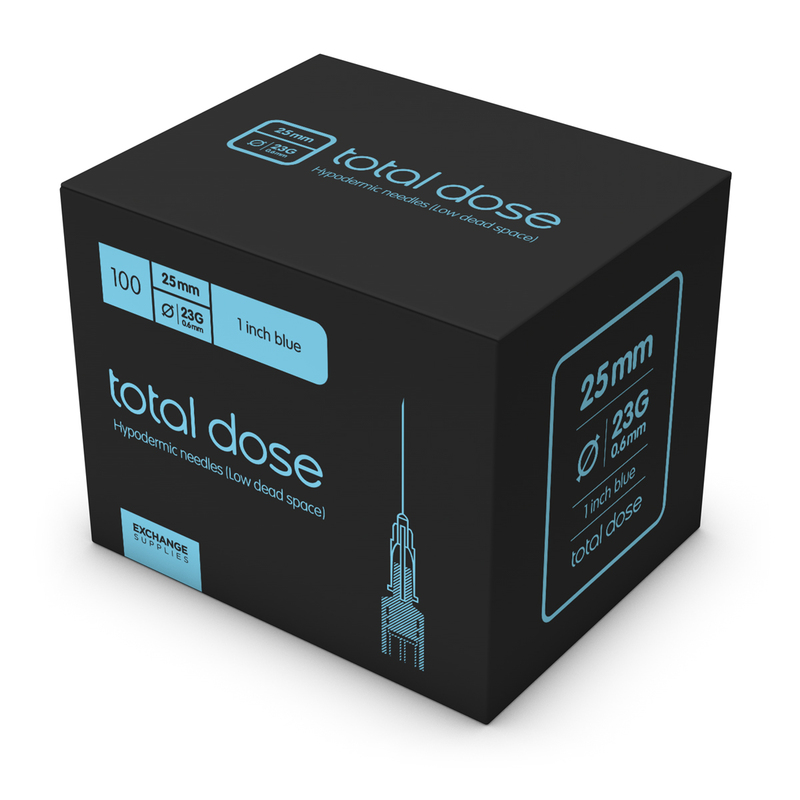 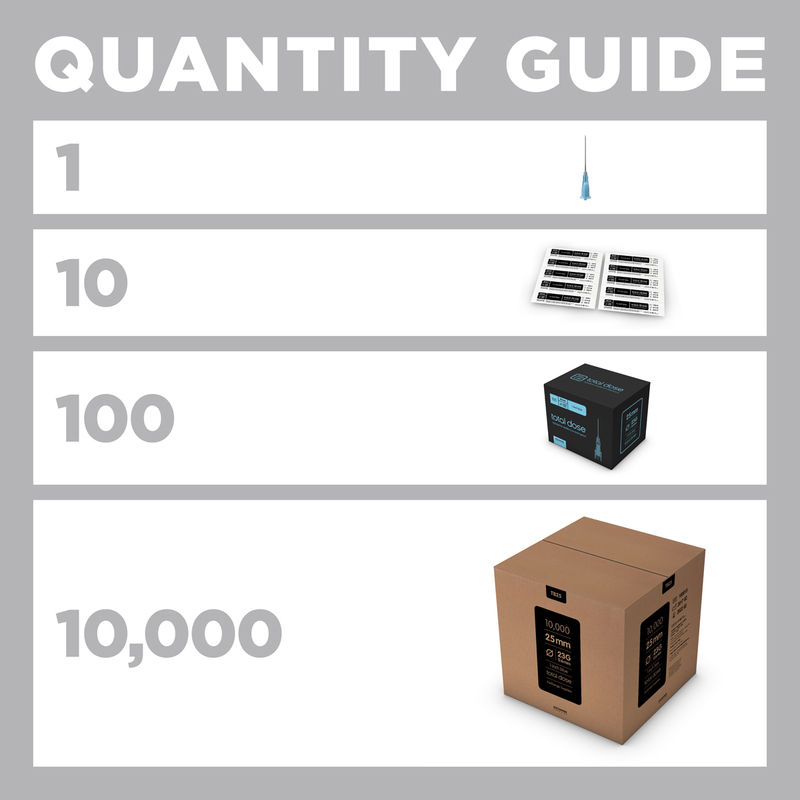 Total Dose Blue 25mm needles were designed for the Nevershare 2ml syringe, they also fit some other 2ml (and larger) syringes for detachable needles – known incompatibilities are listed below. 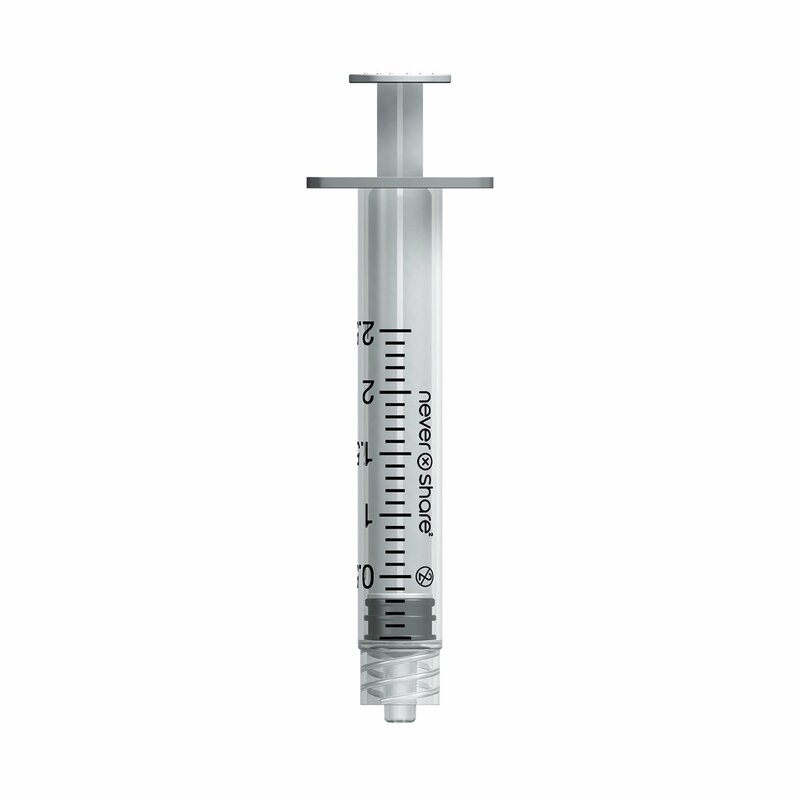 Syringes with a spike that goes into the tip of the syringe.